Nicole Scherzinger has revealed that Simon Cowell did not invite her back to The X Factor this year. Contrary to reports that suggested she stepped down from the panel, the Pussycat Dolls singer has admitted that she was never approached. She had judged on the 2012 and 2013 seasons; coaching James Arthur to victory on her first year. 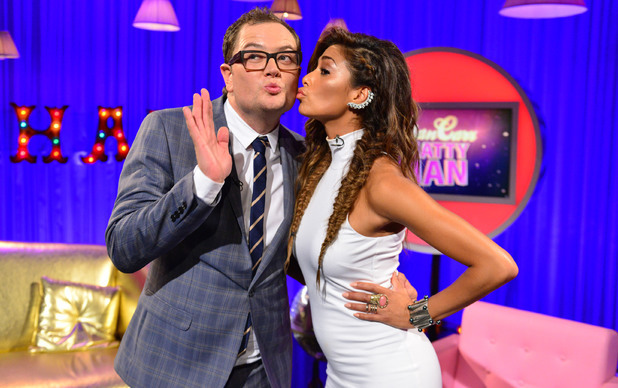 “I haven’t heard from Simon,” she told Alan Carr. “He made his choice so I’m just going to support everybody and it doesn’t matter as my panel last year was the absolute best. “No-one can replace Gazza and Mrs O and Louis for me. But you know what, the show’s going to be crazy this year. This year will be judged by Cowell with Cheryl Cole, Louis Walsh and Mel B.